Summer months may be winding down but we’re trying to make it last as long as we can, soaking up the last rays of sunshine in our backyard. 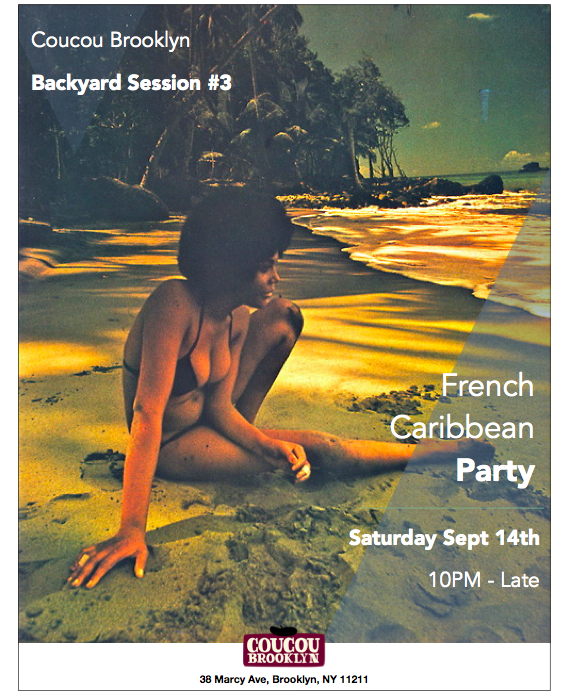 In that spirit, we are hosting a French Caribbean party on Saturday, September 14th. We want to celebrate the rich culture of the French Caribbean islands (Guadeloupe, Martinique and Haiti to name a few), their fascinating history, and the Creole language. Expect island delicacies, delicious cocktails, colorful outfits and lots of zouk so you can shake what your mama gave you! Tien ben raid pas moli!